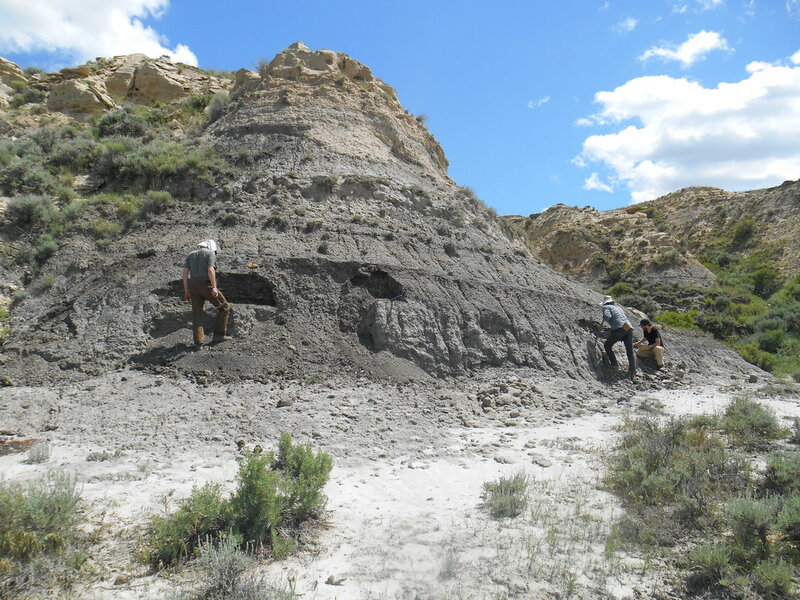 ​Strömberg Lab PhD student Paige Wilson (co-advised by Dr. Greg Wilson) is investigating floral turnover and environmental change across the Cretaceous-Paleogene (K/Pg) boundary in NE Montana. 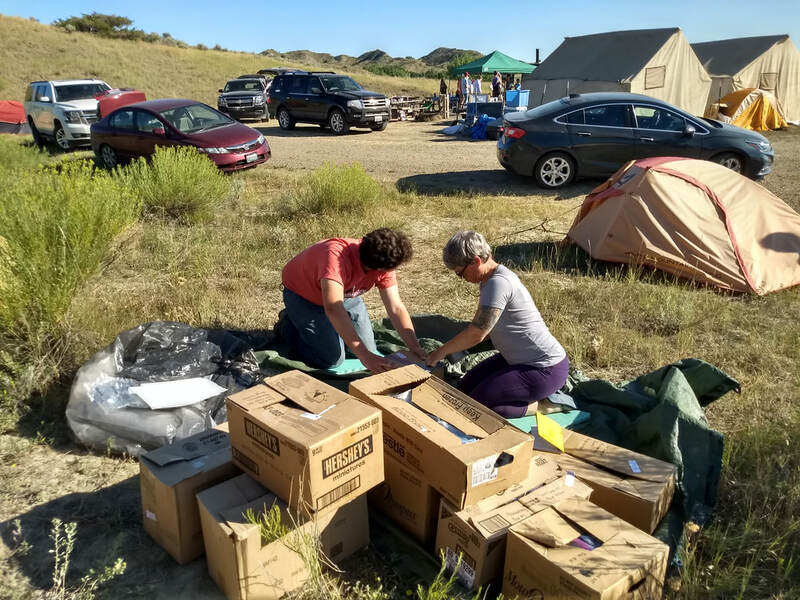 She just finished 2 months of fieldwork in the badlands of Montana this summer, where she and a crew of undergraduate and citizen scientist volunteers collected an estimated 3000 plant macrofossils! Volunteers help to excavate a quarry in search of plant macrofossils in NE Montana. ​Over the course of their 8 week field season, the team dug over 55 quarries and carted away hundreds of pounds of rocks. 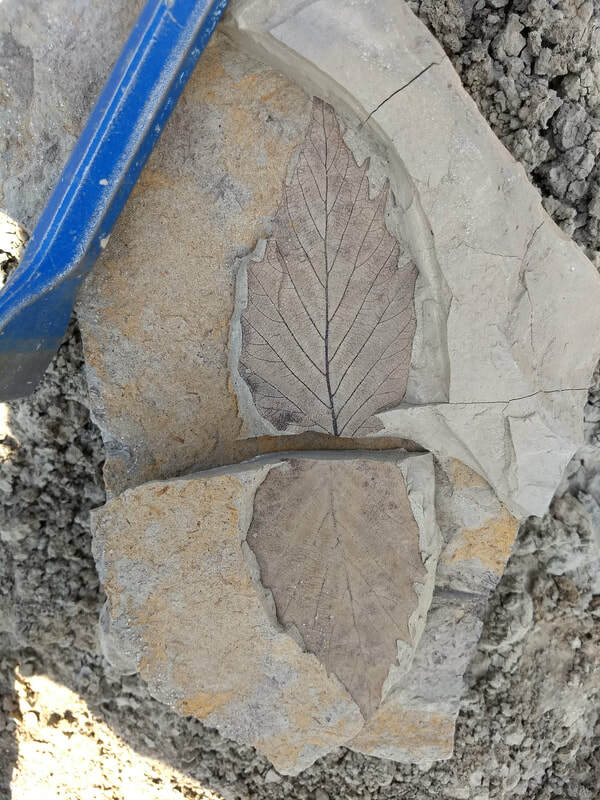 These fossils are mainly impression and compression fossils of angiosperm leaves, but also include conifer cones and vegetative parts, stems, seeds, and other reproductive structures. This area in NE Montana contains incredible exposures of rocks and rich fossil deposits; it is famous for a number of vertebrate fossils found since the early 1900s. More recently, the Burke Museum’s Tufts-Love T Rex was unearthed nearby—you can watch the prep process happen on display at the Burke Museum in Seattle! This discovery was led by members of the Wilson Lab in UW Biology, along with staff and volunteers from the Burke. One of our favorite fossils collected this summer! 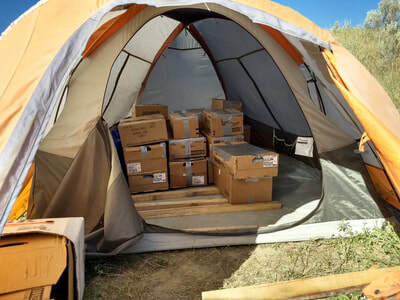 Now safely back in Seattle, Paige is working to unpack and catalog these fossils, a careful process that involves numbering, labeling, photographing, and IDing each fossil. Those which require prep work (careful application of glue or special tools called air scribes to clean and expose more of the fossil) are marked, and each is loaded into an archival box to be added to the Burke Museum’s Paleobotany collection. These lucky fossils get to make their home in the new Burke Museum too! Dorsal view of a silicified anthoecium of Berriochloa inflata. Material was generously loaned by Dr. Joseph Thomasson of Fort Hayes State University. Scale bar represents 5 millimeters. One of the ways that we are approaching this question is to quantify traits related to different modes of seed dispersal. One of the seed dispersal modes we are specifically looking at is adhesive dispersal. Here, we can exploit the premise that seeds (or the structure containing them) are more likely to become attached to passing animals if they have lots of hooks, hairs, and other protrusions. This is essentially the surface roughness of the object, which we can easily quantify if we have some good photos of our fossils (and modern references). We have therefore been spending lots of time at the Burke Museum over the past several months, photographing specimens from the Burke Herbarium and other herbaria and using the data we collect from these images to construct our modern reference collection. Among other things, this consists of grasses with well established seed dispersal syndromes and the nearest living relatives of the fossil taxa we are working with. So far, we have collected data for 120 individuals from around 50 species (though we are a long way from done). Very soon we will get started on collecting data for our fossil taxa, which is when the real fun begins! ​Finally, I wanted to quickly run through two examples to illustrate how we’re collecting our data, and take a look at two ends of the adhesive dispersal spectrum. First let’s take a look at Cenchrus palmeri, a species that is characteristically adhesively dispersed. This species (and its relatives) produces burrs that are very good at sticking places they’re not always wanted. Indeed, you may have had some experience with grasses in this genus in the past. We’ll compare these burrs to the florets (these are the anthoecia plus the reproductive structures they enclose) of Panicum miliaceum, a species that is commonly grown for birdseed (and occasionally humanseed). Just by intuition we can predict which of these two species is more likely to have seeds adhesively dispersed. However, not all taxa are this cut and dry, and it is useful to have a quantitative way to compare taxa that fall between these two extremes. 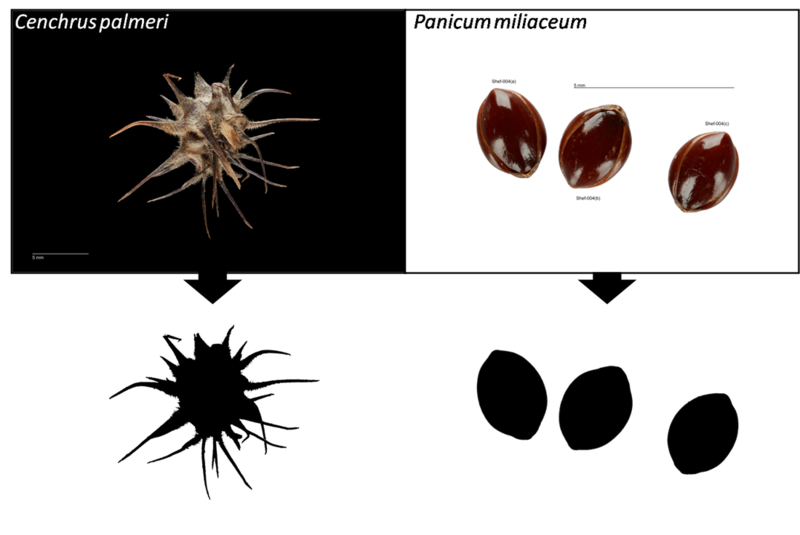 Views of Cenchrus palmeri (lateral) and Panicum miliaceum (ventral), and the corresponding binary masks created from each image. Scale bars represent 5 millimeters. 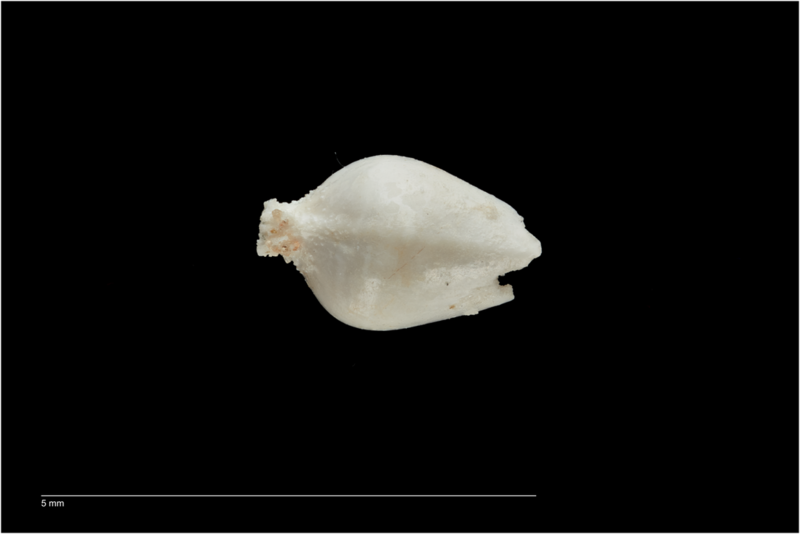 ​We start by taking photos of the relevant unit of seed dispersal in three different orientations (a dorsal/ventral view, a lateral view, and a top view). We then use a thresholding tool to outline each and record the perimeter of the object. Next, the object outline is divided by the perimeter of the convex hull of the object, which provides a measure of its roughness. As surface roughness decreases, this metric will increase to a maximum value of one, and as surface roughness increases, values will approach zero. We then take an average of our three different views (weighted based upon the surface area presented in each) to obtain our overall estimate of surface roughness for the object. 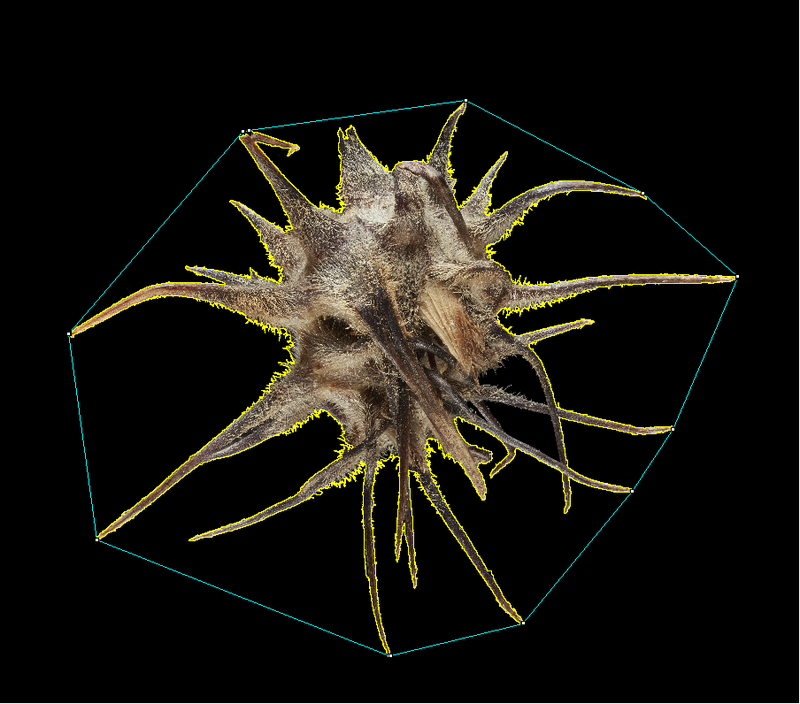 Image showing the perimeter (yellow) and convex hull (blue) of the burr of Cenchrus palmeri. Applying this method to our two example taxa, we get a value of 0.896 for Panicum miliaceum and a value of 0.263 for Cenchrus palmeri. This is exactly what we expected based upon what we already know, and can observe about these two grasses (remembering that as roughness increases we approach a value of zero). Now let’s see what we can find out about the fossils! Roadside geology in Patagonia rocks. When and where did grasses evolve? In what environments are grasses first found? Scarce plant fossils point to the Late Cretaceous of the southern continents, but almost nothing is known about these, the earliest relatives of wheat, corn, and rice. In January, Caroline traveled to southern South America to add a piece to this puzzle. 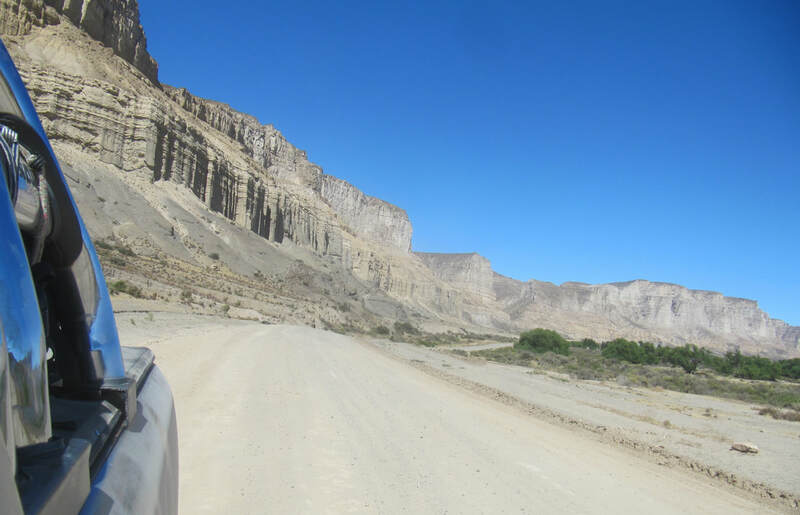 Specifically, she and her Argentine colleagues toured Cretaceous and Paleocene sites in Patagonia, Argentina, to sample small rock samples. In these samples, the Strömberg Lab will look for signs of early grasses in the form of microscopic plant silica (phytoliths). 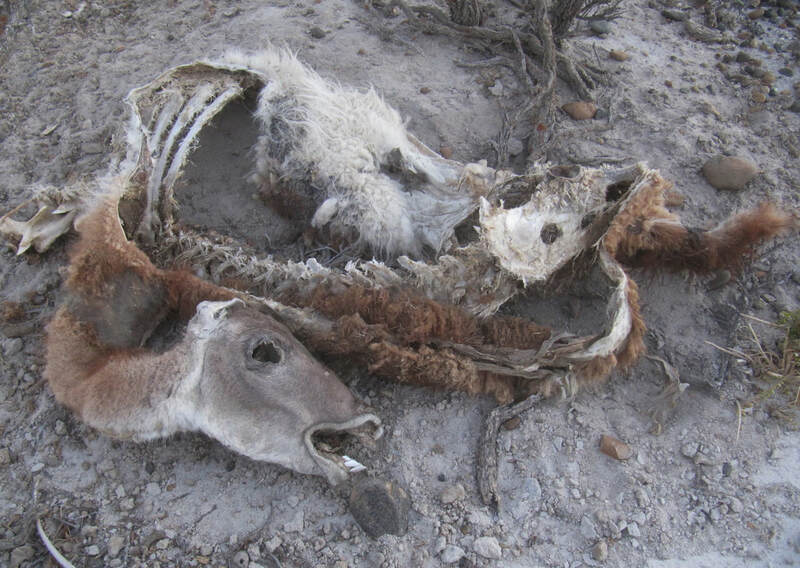 Lessons in taphonomy: dead guanacos are a common sight. Welcome to the blog page of the Strömberg Lab!